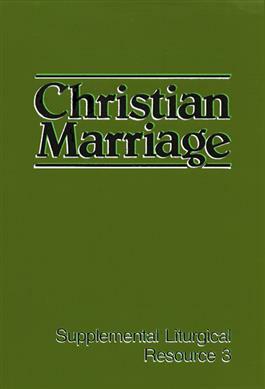 Christian Marriage is a liturgical resource that helps pastors prepare and perform the marriage ceremony. This book includes three Christian rites of marraige, appropriate scriptural readings and music selections, and more. The Presbyterian Supplemental Liturgical Resource (SLT) series includes liturgies that were used on a trial basis in preparation for the development of the Book of Common Worship. Though superseded by the Book of Common Worship, SLR resources remain valuable, both for the variety of liturgical texts they contain and for the commentary on the text, which contains rich historical, theological, and practical background.